I was going to blog about the Apple Event today, but I haven't had a chance to watch the replay yet. I followed some live blogs and know the highlights of what happened. I will watch it soon and write a blog post about it. For the time being, I'm going to talk about Verizon Wireless. I love Verizon Wireless. I have never had any problems with call/sound quality for 9 years now. I switched to Sprint for about 7 months in 2013, but I'm not going to talk about that. I don't foresee myself without a Verizon Wireless phone again. My perspective is that Verizon Wireless should provide me stable and decently fast cell-phone/4GLTE coverage. I will take a consistently stable and semi-fast network over a super-fast but only in some areas network. I understand why I have to pay more for being with VZW compared to the other cell phone providers, and I am more than willing to pay this premium for a quality network. I just want service and coverage from VZW though. I do not want your Apps on my phone. I wish I could remove them, but unfortunately I can not. Out of the 8 apps above, I very rarely will check the My Verizon Mobile app. Otherwise, I never use the other 7. 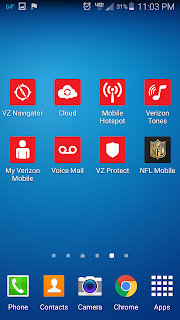 (I used the NFL Mobile one once during playoffs last year, but not for very long) I frankly see the rest of the apps as ways for VZW to make money or I see the apps as untrustworthy. I'm not going to back up my stuff onto the VZW cloud. I'm not going to pay for ringtones or for voicemail. Google has Drive, Google Maps, and Google Voice for all of those. Google's versions are all free and work great. 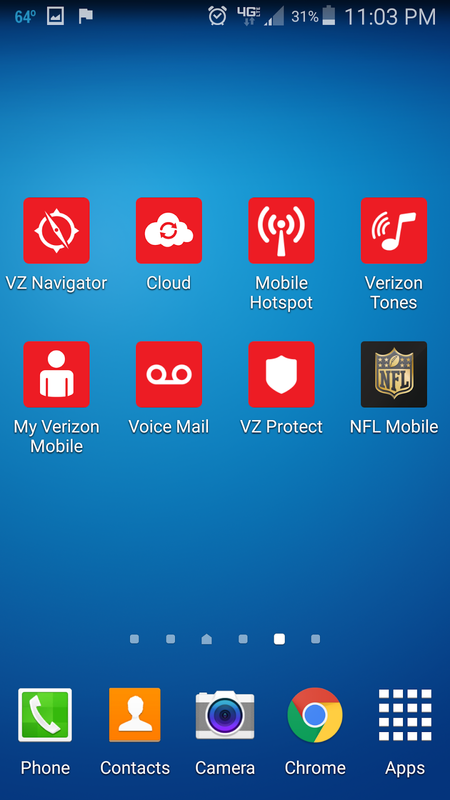 I know Verizon has a deal with the NFL, but I really don't want the NFL Mobile app on my phone. At the end of the day, VZW is a business looking to make money. I understand. But I want to be able to control what apps are on my phone. If my next phone is an Android phone, it will most likely be a Nexus phone. I think Verizon Wireless is great. I am probably going to invest in them soon. I just want to be able to uninstall VZW apps on my phone.